Marijuana's Secondhand Smoke Poses Risks To Heart And Lungs : Shots - Health News Now that marijuana is legal in more than 20 states, we all may be exposed to more marijuana on the street. Researchers warn that secondhand smoke from pot poses risks to the heart, lungs and arteries. Scientists are finding that, just as with secondhand smoke from tobacco, inhaling secondhand smoke from marijuana can make it harder for arteries to expand to allow a healthy flow of blood. "People in front of me started lighting up and then other people started lighting up," says Matthew Springer, a biologist and professor in the division of cardiology at the University of California, San Francisco. "And for a few naive split seconds I was thinking to myself, 'Hey, they can't smoke in AT&T Park! I'm sure that's not allowed.' And then I realized that it was all marijuana." Recreational pot was not legal yet in the state, but that stopped no one. "Paul McCartney actually stopped between numbers and sniffed the air and said, 'There's something in the air — must be San Francisco!' " Springer recalls. 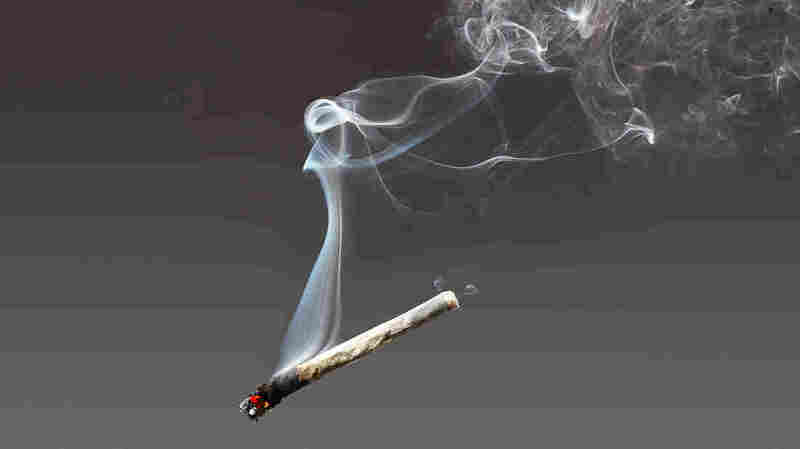 As the visible cloud of pot smoke took shape, so did Springer's idea to study the effects of secondhand marijuana smoke. "By the time I left the concert, I was resolved to at least try to make this happen," he says. He knew it would be difficult. Marijuana is still an illegal drug under federal law, and Springer's research uses federal funds; so he has to purchase specially approved government cannabis for study. He also can't test it on humans; hence, the rats. In the lab, Springer puts a cigarette or a joint in a plexiglass box, lights it and lets the chamber fill with smoke. Then he vents out most of the smoke to the point that it is hardly visible, to simulate being around a smoker. Then an anesthetized rat is exposed to the smoke for one minute. So far, Springer and his colleagues have published research demonstrating that just this one minute of exposure to secondhand smoke makes it harder for the rats' arteries to expand and allow a healthy flow of blood." Springer's discovery about the effect on blood vessels describes just one harmful impact for nonsmokers who are exposed to marijuana. Statewide sampling surveys of cannabis products sold in marijuana dispensaries have shown that cannabis products may contain dangerous bacteria or mold, or residues from pesticides and solvents. "People think cannabis is fine because it's 'natural,' " Springer says. "I hear this a lot. I don't know what it means." He concedes that tightly regulated marijuana, which has been fully tested, doesn't have as many chemical additives as cigarettes. "People should think of this not as an anti-THC conclusion," he says, referencing the active ingredient in marijuana, "but an anti-smoke conclusion." So is the solution simply to avoid smoke from combustion? In other words, is it safer to eat cannabis-infused products, or use "smokeless" e-cigarettes or vaping devices? Springer still urges caution on that score because vaping, for example, can have its own health effects. Vaping devices don't produce smoke from combustion, but they do release a cloud of aerosolized chemicals. Springer is studying the health effects of those chemicals, too. "We in the public health community have been telling them for decades to avoid inhaling secondhand smoke from tobacco," Springer says. "We have not been telling them to avoid inhaling secondhand smoke from marijuana, and that's not because it's not bad for you — it's because we just haven't known. The experiments haven't been done." Antismoking campaigners say we can't afford to wait until the research is complete. Recreational pot is already a reality. Cynthia Hallett is the president of Americans for Nonsmokers' Rights, based in Berkeley, Calif. The organization was established in 1976, before there was a lot known about the health effects of secondhand smoke from tobacco. "I'm seeing a parallel between this argument that, 'Gee, we just don't have a lot of science and so, therefore, let's wait and see,' " Hallett says. "The tobacco companies used to say the same thing about tobacco cigarettes." It starts with the premise of decriminalization, she says, and then, over time, there's "a chipping away at strong policies." But Hallett points out that smoke drifts, and it affects workers in a way that alcohol doesn't. "The difference is, if I were to spill my beer on you in a bar, it wouldn't affect your long-term health," she says. "If I choose to smoke, it can affect the health of the person near me." Pot is more like tobacco in that respect, and Hallett believes it should be regulated that way. She says this era of California culture brings to mind a similar period in the 1970s and '80s, when Americans started demanding more regulations for secondhand smoke, and a new etiquette around smoking took form. When it comes to marijuana, Hallett says, "it is still polite for you to say: 'Would you mind not smoking around me?' "
"This is the first time that I have heard secondhand smoke in reference to cannabis," admits Lee Crow, a patient-services clerk at Magnolia. "I've tried to be courteous — just common courtesy, like with anything." The dispensary's director of clinical services, Barbara Blaser, admits she thinks a lot about secondhand smoke from cigarettes, but not pot. "Both of my parents died of lung cancer!" she says. "I will stop a stranger and say, 'You shouldn't be smoking. My dad died of that!' "
California's Proposition 64, approved by state voters in 2016, requires that some of the state tax revenue from the sale of marijuana to be distributed to cannabis researchers. In addition, the state's Occupational Safety and Health Standards Board is examining workplace hazards that are specific to the cannabis industry. This story is part of NPR's reporting partnership, local member stations and Kaiser Health News.